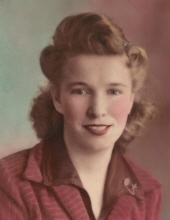 ROCKVILLE-Nell D. Hunt, 94 of Rockville, Indiana passed away at 6:25 am Wednesday, April 10, 2019 at Rockville Nursing and Rehabilitation. She was a homemaker. She was born September 29, 1924 in Mineral Wells, Texas to the late Roy Tennison and Rita Davis Tennison. Her husband of 63 years, Paul Hunt whom she married in Texas April 30, 1945 preceded her in death on January 3, 2008. To send flowers or a remembrance gift to the family of Nell D Hunt, please visit our Tribute Store. "Email Address" would like to share the life celebration of Nell D Hunt. Click on the "link" to go to share a favorite memory or leave a condolence message for the family.